With holiday travel season upon us, you may be thinking about redeeming some reward points you’ve earned from your bank for a free airline ticket. After a recent U.S. Tax Court ruling, the ticket may not be as free as you think. In the case of Shankar v. Commissioner, IRS, the U.S. Tax Court sided with the IRS and held that the value of an airline ticket purchased with “Thank You” reward points is taxable as gross income. Parimal Shankar received 50,000 “Thank You” points from Citibank in 2009. Citibank sent him and the IRS a Form 1009-MISC, which reported the ticket value of $668 as “other income.” Shankar did not report the income. The IRS sought payment of the tax and assessed a $563 deficiency. Shankar disputed the IRS’s position, filed a petition with the U.S. Tax Court, and the case went to trial. In its decision, the court draws a subtle, but important, distinction between “reward points” – at issue in Shankar – and frequent flyer miles. 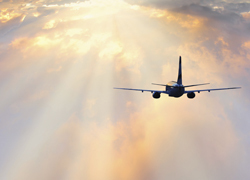 Frequent flyer miles are “earned” through qualifying business travel. Those miles can then be used for free or discounted fares on additional flights. This is consistent with Announcement 2002-18, in which the IRS made clear that it will not treat (or at least not pursue enforcement related to) frequent flyer miles earned through business travel that are redeemed for personal travel as personal income. Reward points are different. Rather than “earning” miles for travel, in a typical reward program individuals receive points for depositing funds with a bank. As the court explained, the points received by Shankar were not “earned,” but rather represented a “premium for making a deposit into, or maintaining a balance in, a bank account…in other words, something given in exchange for the use (deposit) of Mr. Shankar’s money; i.e., something in the nature of interest.” Since interest is taxable, so was the value of the flight, the court said. It is important to note that Shankar represented himself at trial. Therefore, arguments that could have been made in opposition to the IRS’s position likely were not. For example, the decision leaves open questions such as whether rewards points that go unused can be treated as a loss. Should this issue reach the court again, the result may be different if additional arguments are raised. Citibank is also at the center of controversy stemming from its decision in 2012 – notwithstanding Announcement 2002-18 – to issue 1099 forms to customers who received frequent flyer miles for opening checking or saving accounts. Customers filed a class action lawsuit against Citibank alleging that it failed to adequately notify customers of the potential tax consequences and inflated the value of the miles, which increased the taxes owed by the customers and increased the value of Citibank’s tax deduction. With its ruling in Shankar, the court and the IRS have drawn a line distinguishing “purchased” rewards (which are taxable), and “earned” rewards (which are non-taxable). We would not be surprised if the IRS issues further guidance on these issues, particularly on whether this ruling will have any effect on Announcement 2002-18. Until then, don’t be shocked to receive a 1099 from your bank if you’re receiving and redeeming reward points. If you have any questions about this case, or tax issues in general, please contact a Foster Swift tax attorney.